The Wisdom of Hair is not really about hair. But hairstyling is a fitting backdrop for the story of a young woman's need to change her life and put her troubled past behind her like a bad haircut. Set in the early '80s, the story by first-time novelist Kim Boykin centers on 19 year old Zora Adams. She's leaving home for the first time, escaping a childhood rife with dysfunction and dominated by a self-centered alcoholic mother. No surprise, therefore, when she falls head over heels for a man with a drinking problem and sets out to "heal" him with love. Zora's salvation comes in the form of friendships she makes along the way through her work as a hair stylist. Her empathy for other women with problems blossoms as they come to her for help with their hair and much more. At first, it puzzled me as to why Ellie Jeffords was forever trying to change the way she looked. But after awhile, I realized she believed that if she looked different, her world might just be different, that somehow in all of that she would find happiness.... I’ve seen it in other women who come to my station and look in that big mirror the same way. They want something different, a change. They want to be happy. This work of fiction actually starts out more like a true life story. The first person narrative is so real and believable it reminded me of The Glass Castle by Jeannette Walls, a searing memoir of growing up in a poor, deeply dysfunctional family in the late 20th century. The pages of Boykin's novel are populated with colorful characters like the delightful gay co-owners of the salon who take Zora under their wings and protect her like mother hens. There's also the lucky-in-love best friend Sara Jane, the substitute family who protect Zora, and the tormented, too-handsome neighbor who shakes the very foundation of Zora's newfound freedom. 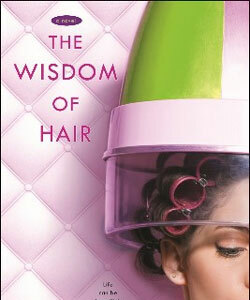 While the first part of The Wisdom of Hair grabbed and held me, the story seemed to lose momentum half way through. Plot turns became too convenient and characters too saccharine to sustain the book's earlier memoir-like realism, which I loved. “Mama don’t get better. She just steps out of the mire so she can take a running jump right back in,” she said dryly. Boykin's writing style is simple and unchallenging. The story moves along at a pace that makes for a fast, entertaining read. It's been called chic lit, a "cute read", and a coming of age story. I think it's all of that and more. I would recommend The Wisdom of Hair to young women readers, especially those dealing with their own family baggage and looking for inspiration as they carve out their independence. They will recognize Zora's need to make peace with and reframe her past before she can move into her own future with confidence. Readers may even recognize a bit of themselves in her story. I just watched this short movie and I like to share it with you. 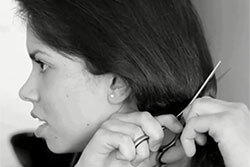 In this Portuguese’s film, Carla change her life by starting to cut her hair. 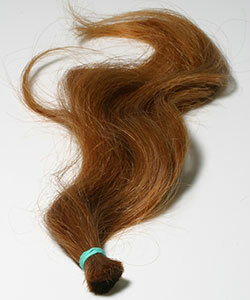 Donating Hair to Wigs for Kids Are you planning to cut your hair? There are ways to help.